In recent years, domestic stone industry with real estate, the increasing demand of stone of railway, highway, quarrying plant equipment has an important position in the domestic industry, widely used in all non-metallic mineral, cement, refractories, abrasives, building material, glass raw material, metallurgical and other industries, is very suitable for different hardness of all kinds of ores and rocks, such as quartz, basalt, limestone, emery, pebble, pebbles. 1, quarry plant equipment of absorbing foreign advanced technology, combined with domestic stone quarrying industry standards, research and development of new counterattack crusher at the core of quarry equipment , can crushing all kinds of less than 350 mpa under all kinds of coarse, medium and hard rocks. 2, widely used in highway, high-speed railway, railway, chemical industry, construction and other industries, reducing energy consumption, improve the work efficiency and production, to promote the fast development of stone industry. 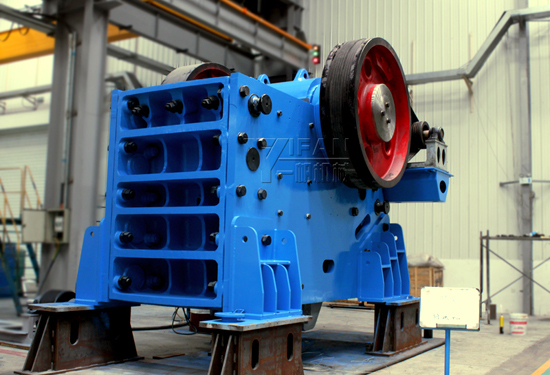 3, along with the continuous renewal of a full set of equipment, parts, convenient change, the operation is simple, we use into bearing, high-performance hydraulic parts, high wear-resistant material, a number of patented technology to create first-class quarry equipment. Yifan machinery equipment co., LTD., in response to the domestic implementation of energy saving, environmental protection, emission reduction, and constantly improve the innovation on the quarry equipment manufacturing, successively in the production of a professional stone equipment, such as the core equipment: retaliate, hydraulic crusher of continuous innovation, has developed the advanced system of sand, stone production line equipment, in addition also develop professional fine crusher, impact system sand machine, sand washing machine and so on several big series equipment.